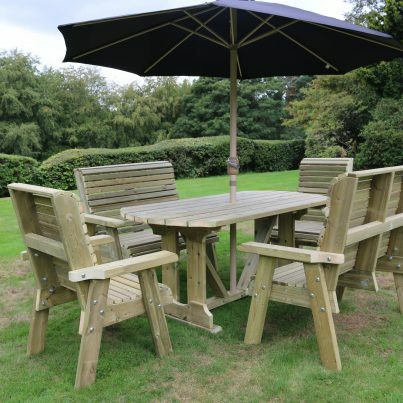 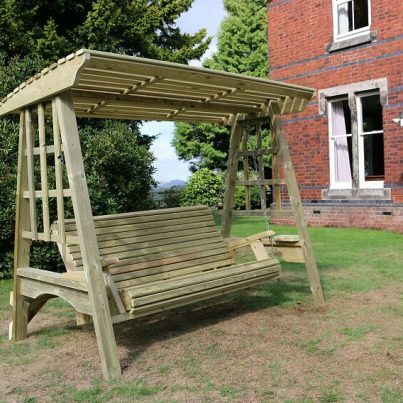 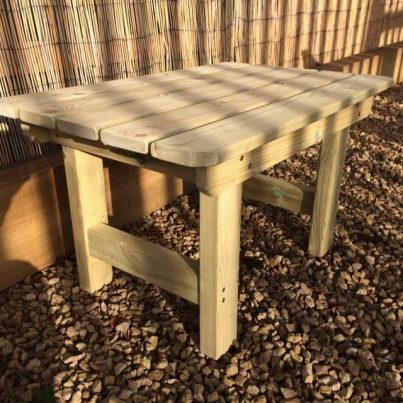 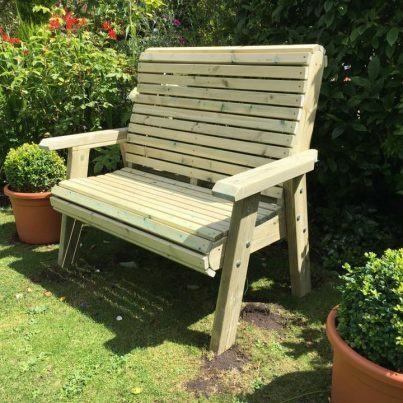 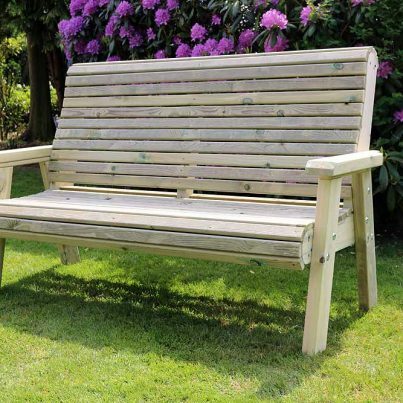 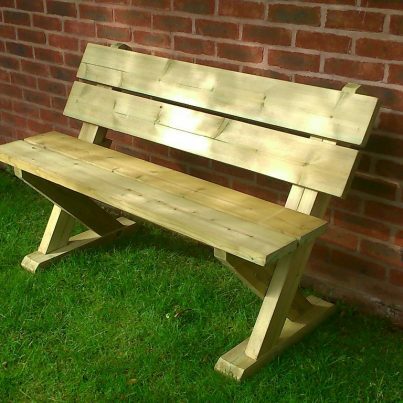 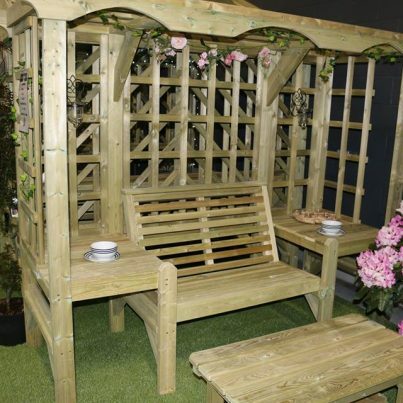 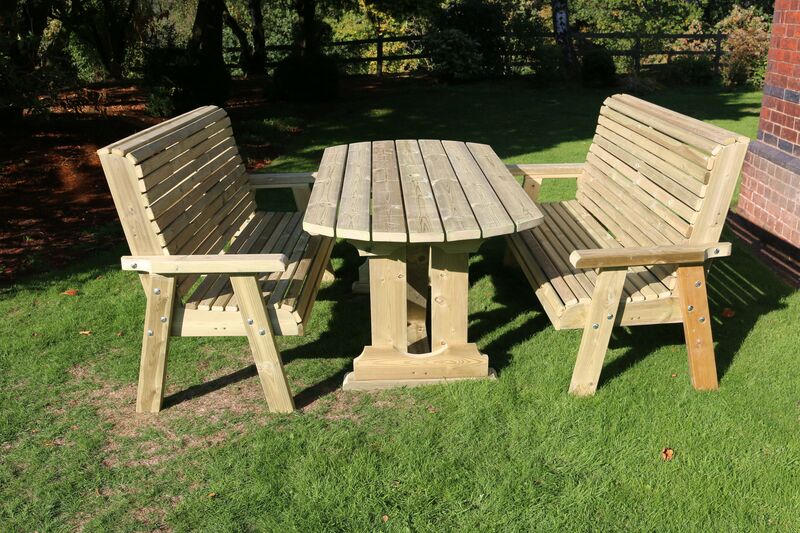 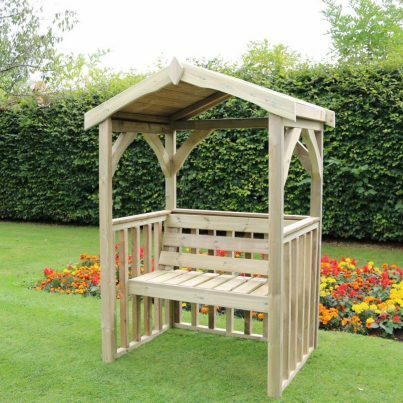 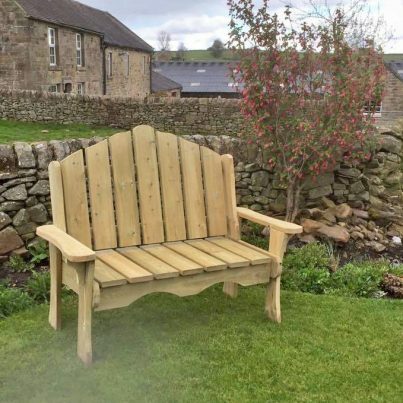 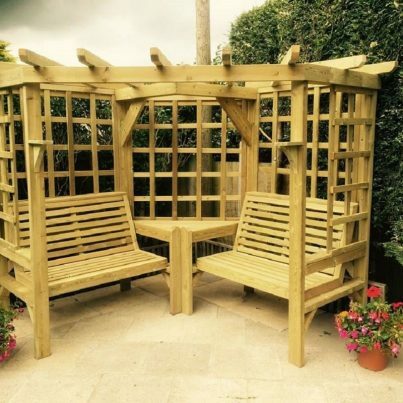 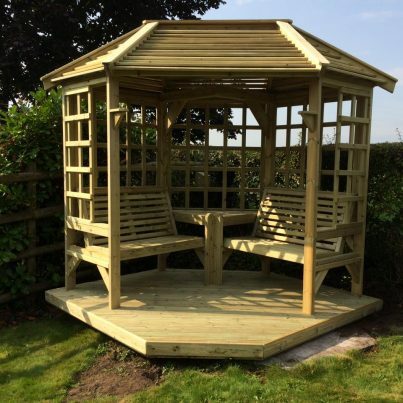 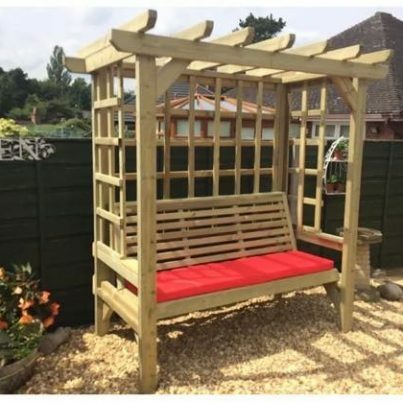 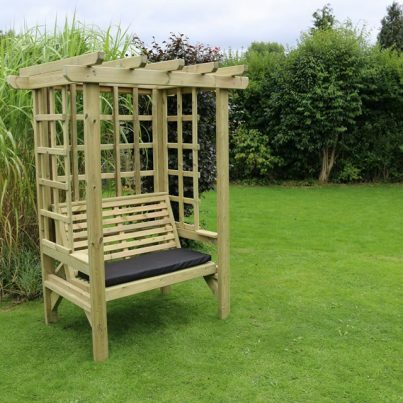 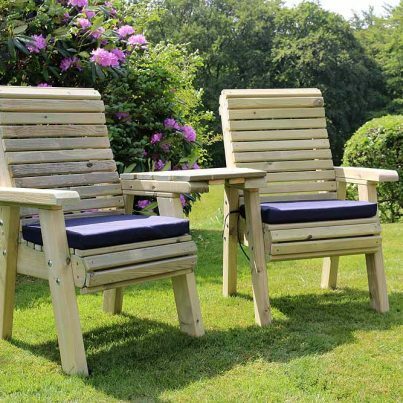 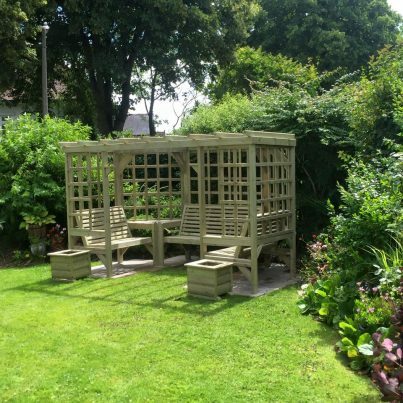 A truly stunning garden set including a stylish table, 2 x 3 seat benches. 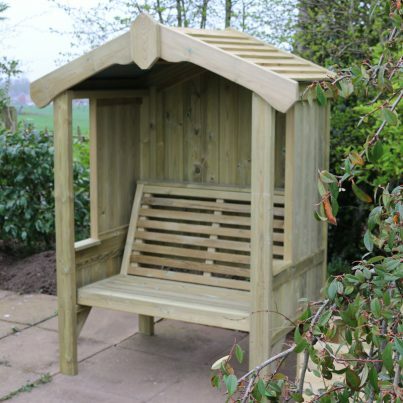 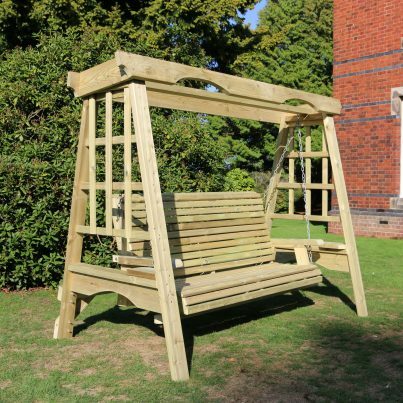 This beautiful arrangement has been built by British craftsmen in this unique style using the finest Swedish Redwood. 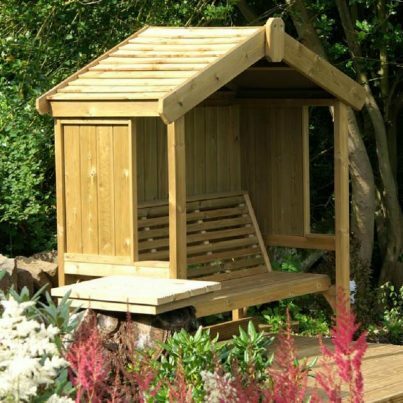 Extra care has been taken to have the wood pressure treated which can prevent rot for up to 25 years.